Together with Companisto, we have come up with an idea of how we can enable you to ask your detailed questions in a more personal fashion in addition to the very popular comments section (where there have been 180 posts so far). The discussion will be attended by our hotel manager and "host" Gerald Henningsen, VC and financing expert Nikolas Samios (who will serve as a moderator), and myself (Jan Henric Buettner). 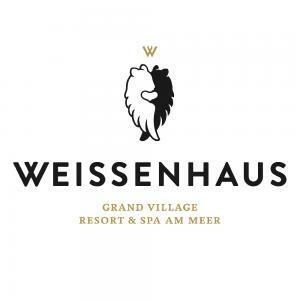 During the discussion, we primarily want to answer YOUR questions, so we ask you to please send us any questions you want to ask Gerry or me as a comment below this update or in an email to invest@weissenhaus.net. Moreover, there will be a live chat during the live broadcast in which you will also be able to ask any questions that may come up spontaneously. The interview will also be recorded and published on Companisto afterward for all those who are unable to watch the live broadcast. Please use this opportunity to ask us any questions you may have apart from details on the contracts, rewards, etc. (which better fit into the comments section and have hopefully been answered there already). Thus, feel free to ask lots of questions on our motivations, backgrounds, and careers, or on our general opinions about crowdfunding. We are looking forward to this unique event with you!